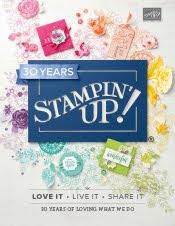 Just Julie B's Stampin' Space: Swallowtail Card Set & Box! 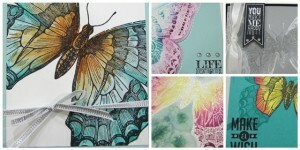 Explore different ways to use the large and magnificent Swallowtail stamp in the card box and set of six cards. This project uses six different methods for accenting the beauty of this butterfly each with a unique card design. The coordinating butterfly box is a great way to present these cards as a gift with matching envelopes. This would make a great hostess gift or class project! This pretty project was made by Amanda Corbet, and you can get her tutorial when you subscribe to the month of July over at Craft Project Central.